Do you remember Skyler Willis? Skyler Willis graduated in 2011 and was inducted into the Hall of Fame in 2017. Skyler Willis was a 4 year Volleyball letter winner and 2010 Conference Player of the Year. She also lettered in Track for 4 years and participated in the sprints and high jump on two State Runner-Up teams. 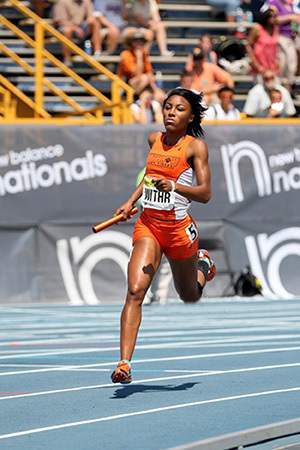 She is the school record holder in the high jump and was a member of the national championship 800m sprint medley relay team. Skyler received scholarship to Akron University and earned Mid-American Conference and national recognition as a hurdler, high jumper, and Pentathlon athlete.